When I was growing up in the DC area, I wasn’t shy about how much I didn’t like it here. 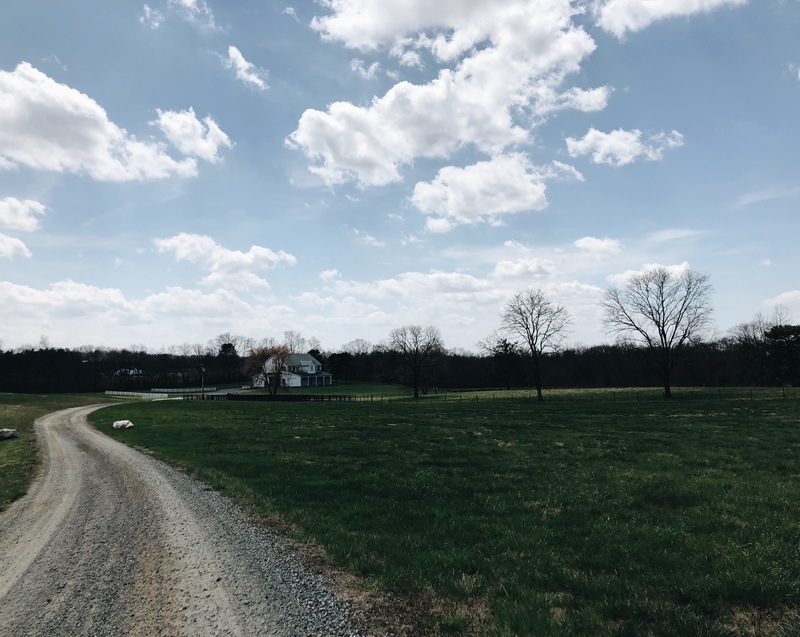 I viewed Northern VA as a place with constant construction, terrible traffic, and crazy stay-at-home moms in Range Rovers that viewed brunching as a part time job (could be me one day, we’ll see). 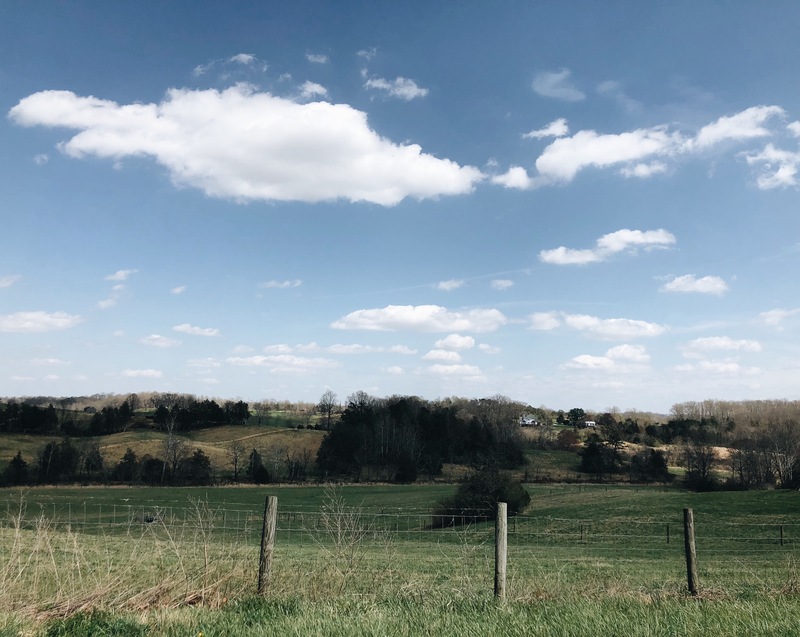 However, as I moved away from NOVA, and went away to college at JMU, I started to explore other parts of Virginia and fell in love. 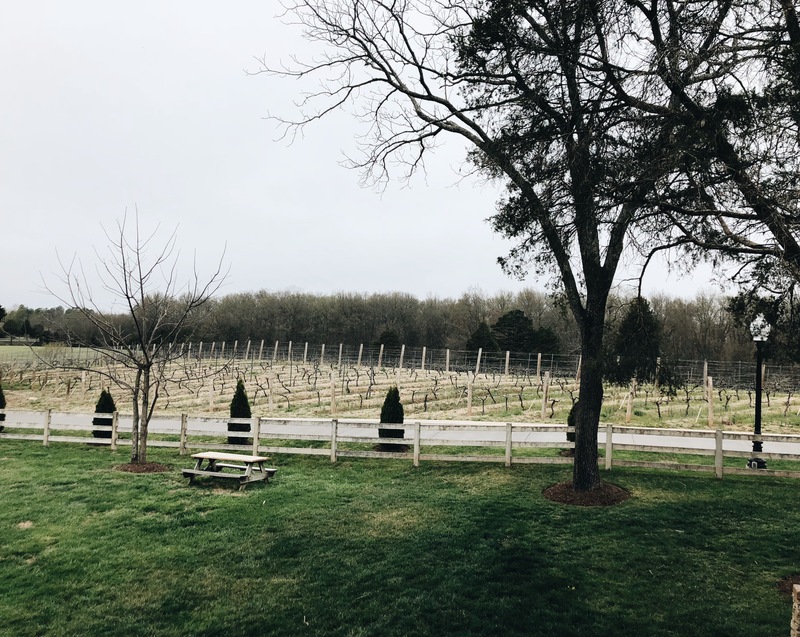 From the wineries that are less than an hour away, to the incredible nature and hiking, I now love where I live and am trying to spend more time exploring what the state has to offer outside of the Orange line. 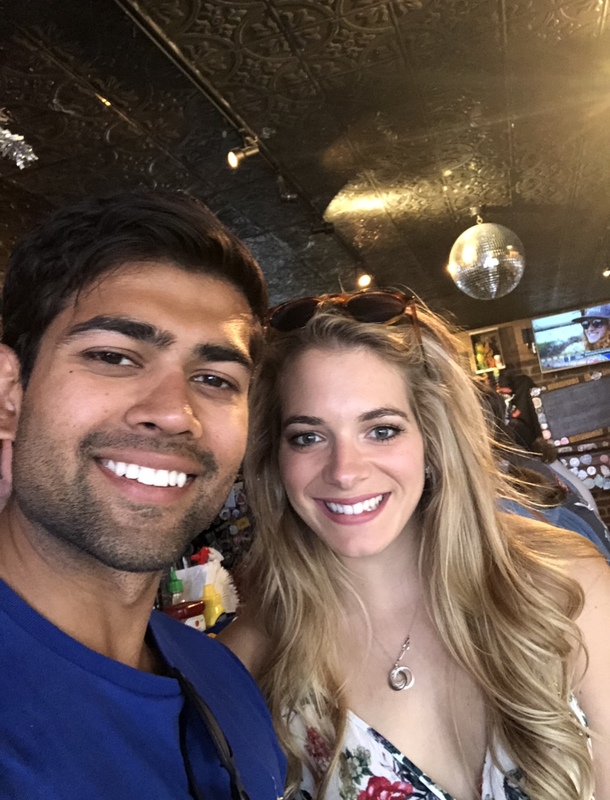 A few weeks ago Rishil came to visit, so naturally I wanted to go all out and plan a weekend getaway for us. 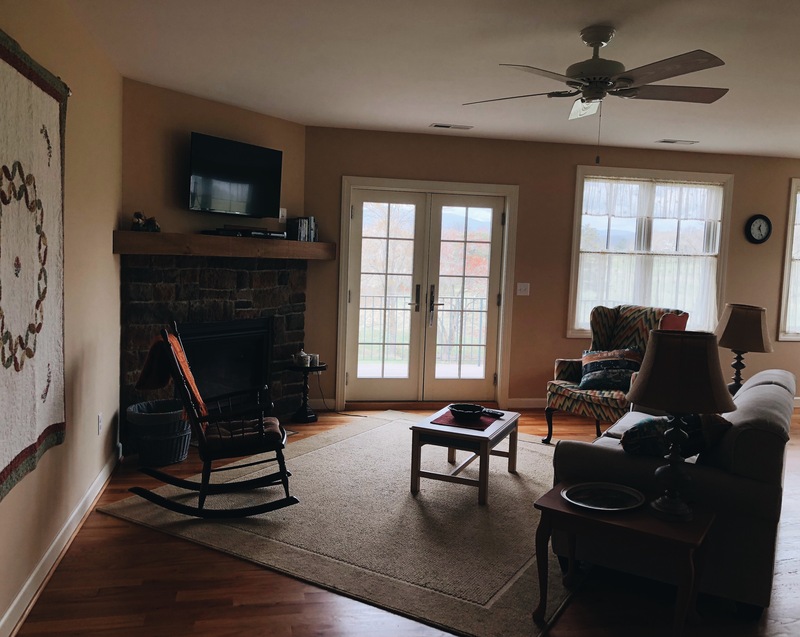 A quick search on AirBnb and I came across the cutest apartment in Stanardsville, VA, a place I had never heard of even after living here my whole life. I know, I don’t get out much. *awkward laughter*. 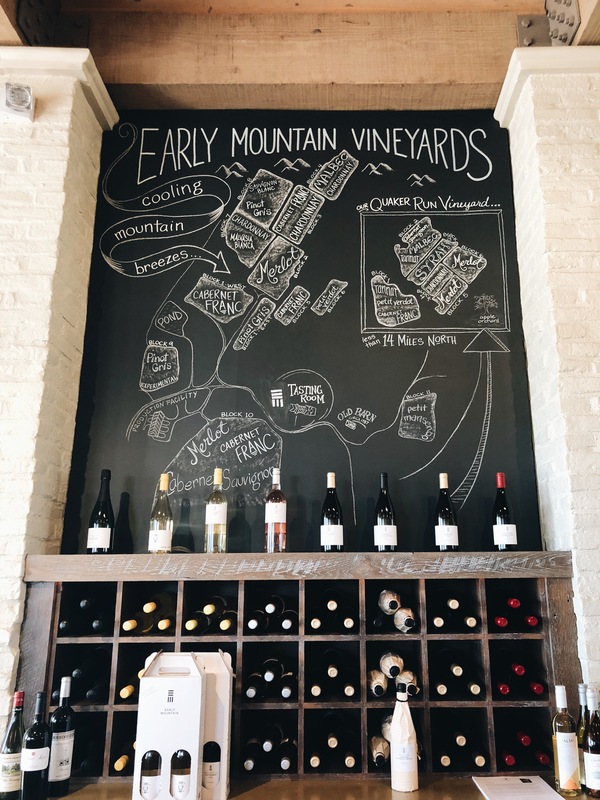 Drive down to Stanardsville and stop at Early Mountain Vineyards on your way. 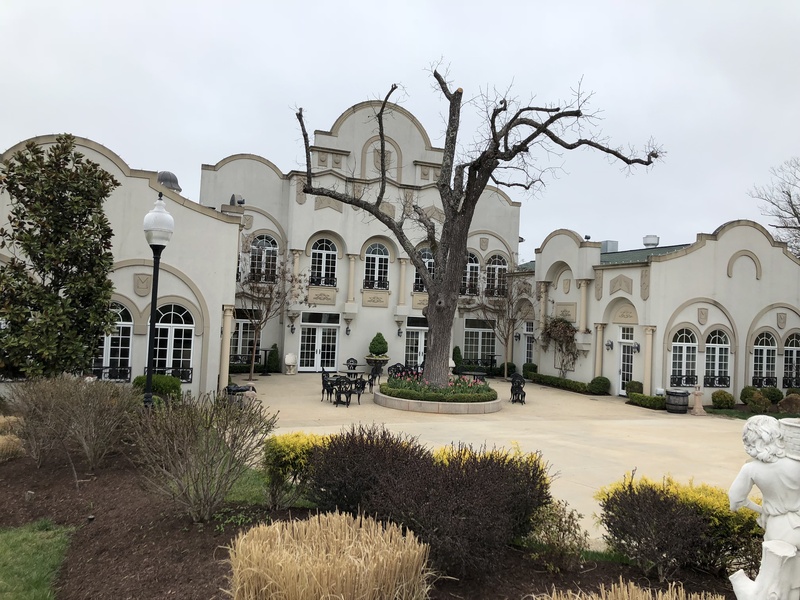 It’s about 20 minutes from Stanardsville and after fighting traffic on 66 for the last hour and a half, you’ll need a glass of wine. The wine there was fantastic, the views even better, and the food looked delicious as well! 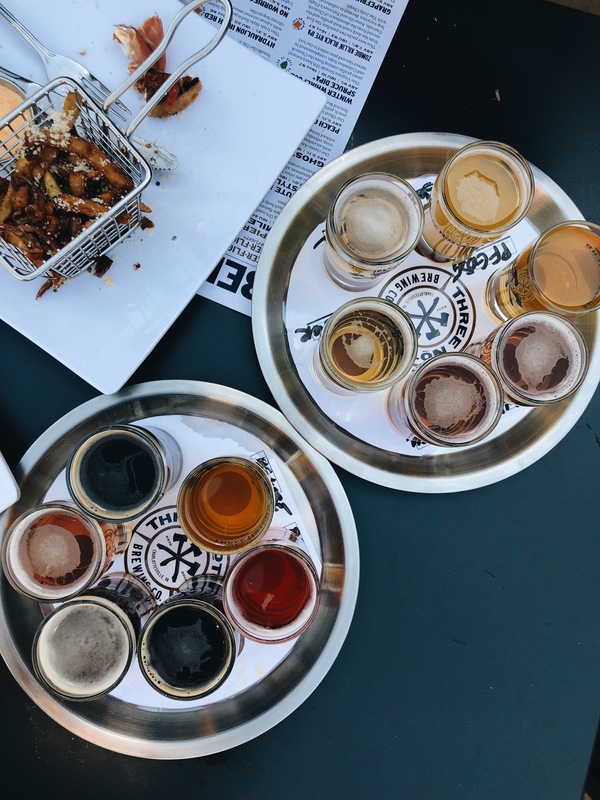 After a glass or two, hop back in the car and head to your AirBnb. 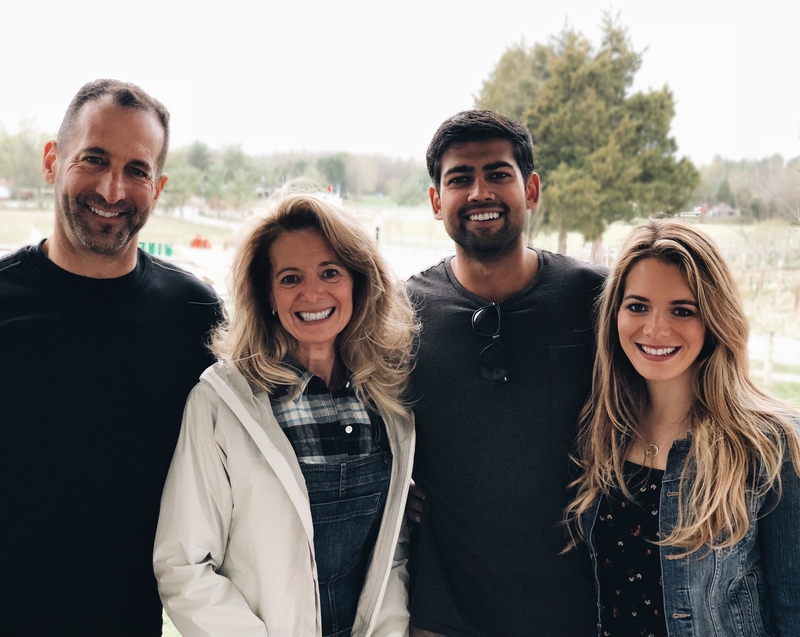 I found this perfect barn on AirBnb and learned that it belonged to Julie and Scott, the sweetest couple ever. 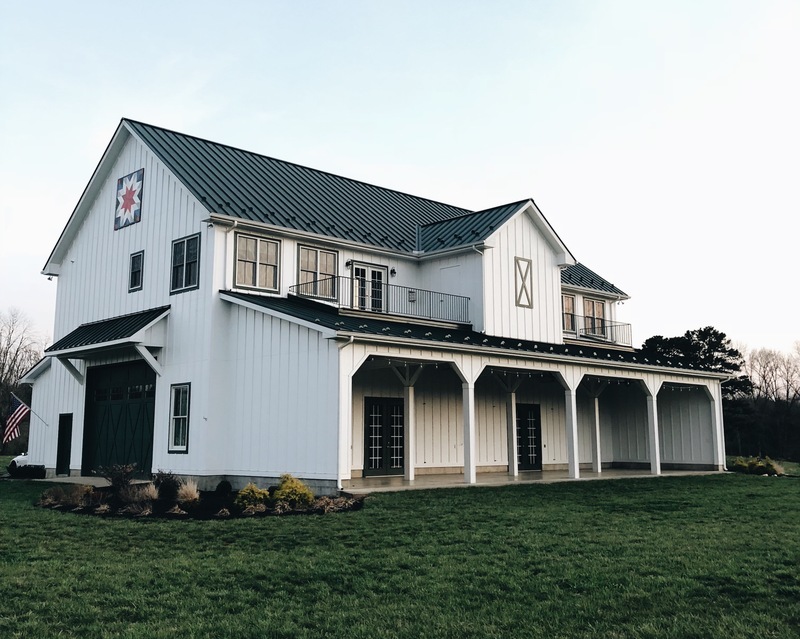 They originally built the barn for Scott’s tractors, but when their daughter asked to get married there they converted the upstairs into two beautiful apartments, and the downstairs into an event venue! On the weekends where it’s not booked for a wedding, they AirBnb out apartments Fieldside and Riverside for guests to stay in. The views are unbelievable. 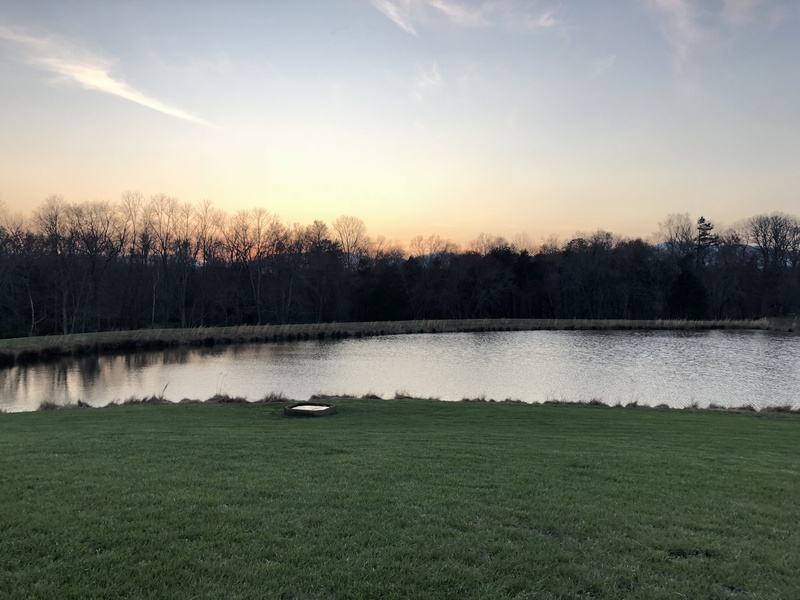 There’s a lake right outside the barn, so you can watch the sunset over the blue ridge mountains reflecting in the water. 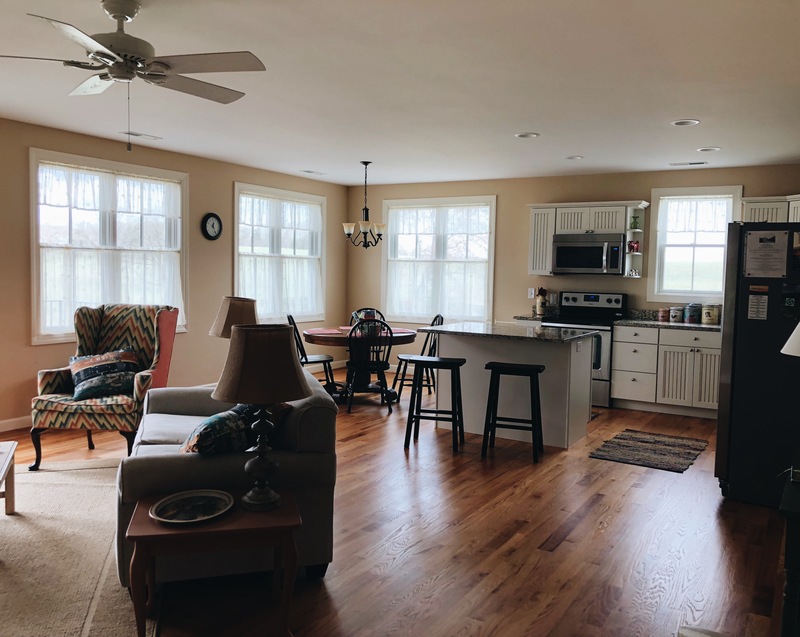 The kitchen is stocked with anything you could possibly need, there are plush robes in the closet, a fireplace in the living room, and a giant soaking tub, so basically we wanted to move in! Julie kindly provided us with some of her recommendations, and Rishil got to cooking us dinner. 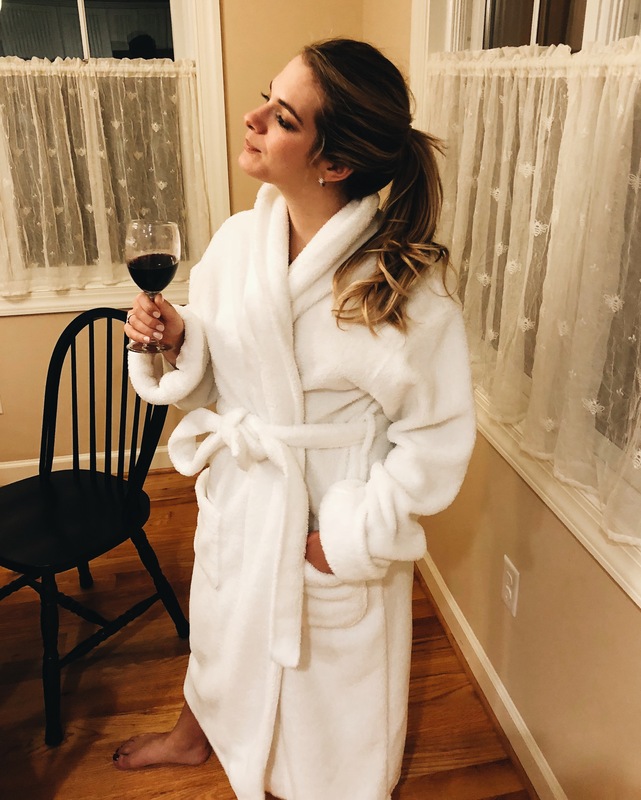 Meanwhile, I put on a robe and drank wine. That. Is. The. Life. We ate our weight in garlic bread and chicken Parmesan, and went to sleep early in preparation for a long day tomorrow! 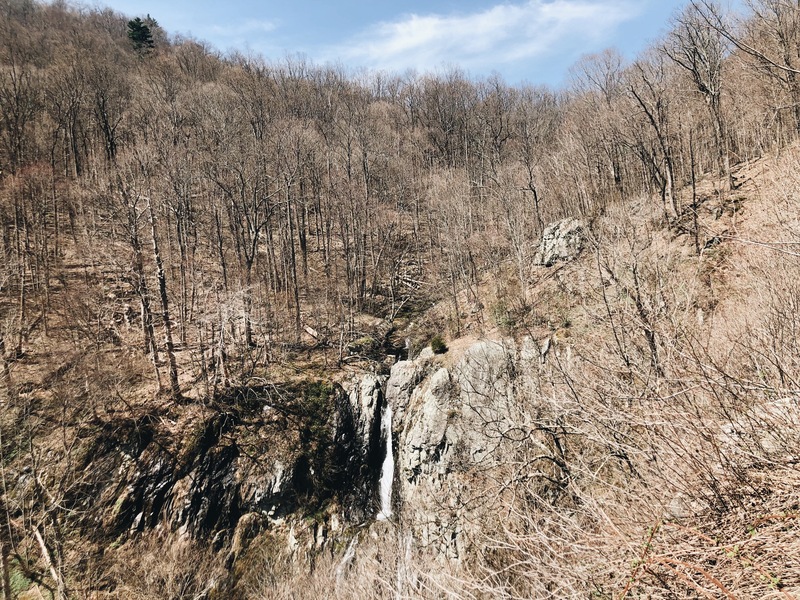 Shenandoah National Park is a beautiful park about 90 minutes from DC, with over 500 miles of trails. 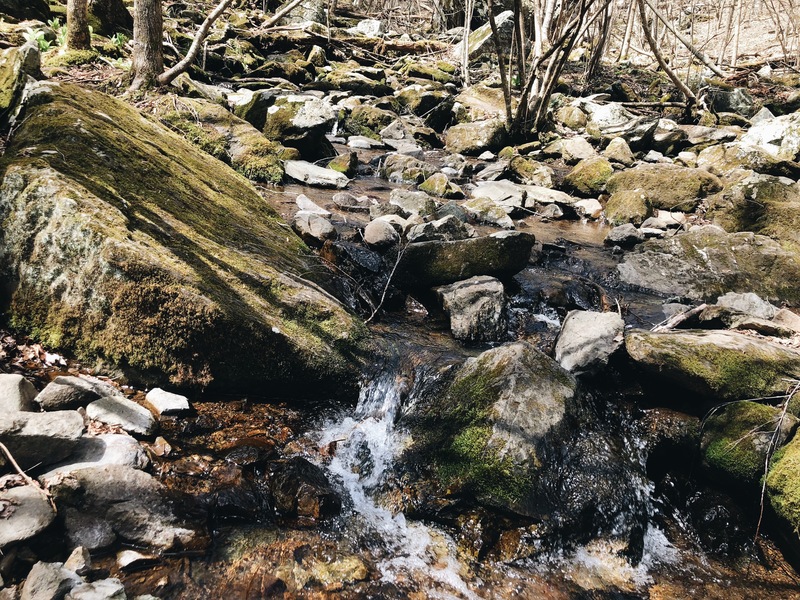 The hiking is amazing and there are so many different paths to choose from! We decided on South River Falls, which was just 20 minutes from our AirBnb. 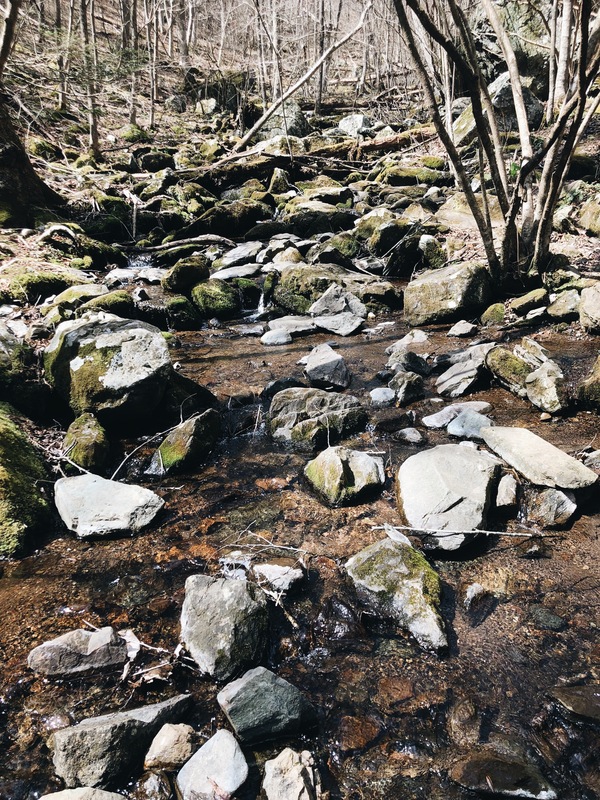 We loved this trail because it was relatively easy, had little waterfalls all throughout, and was a perfect distance of about 4 miles. We took the path next to the river on the way down, and did the fire path on the way back. Just to let you know they charge $25 for a day pass to the park, but for a full year it’s just $50. I went that route because I figured as long as I went twice it paid for itself. After the hike we were starving, so we quickly showered and drove over to Charlottesville. 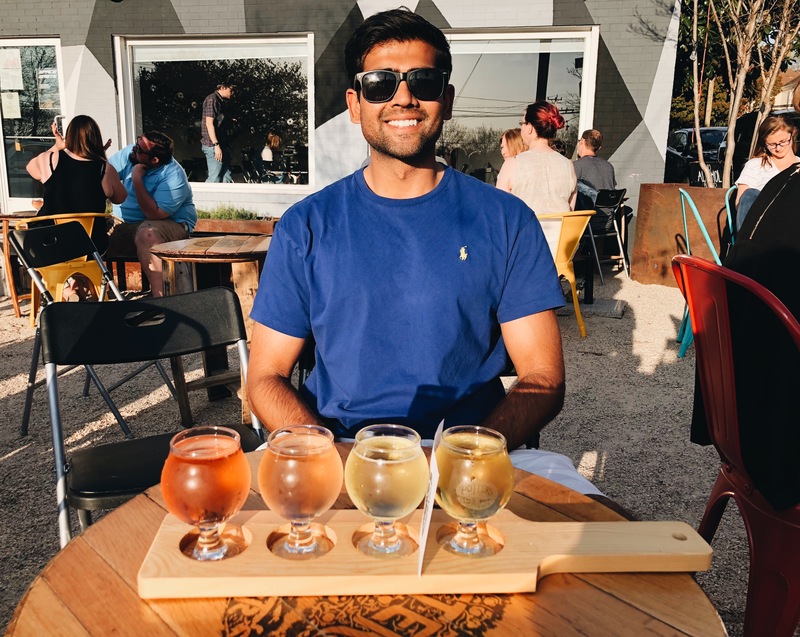 Rishil and I love sour beers, and I heard that Three Notch’d Brewery was just the place to have a few outside in the beautiful weather! 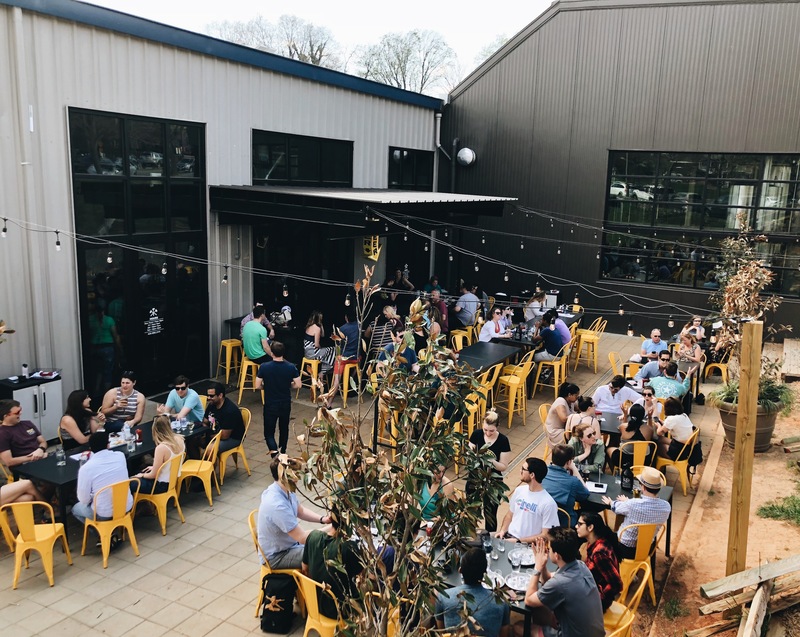 They recently opened in Charlottesville and have an awesome outdoor patio as well as a ton of indoor seating. We sat in the sun, ordered a few flights, and had one of the best appetizers I’ve eaten before. 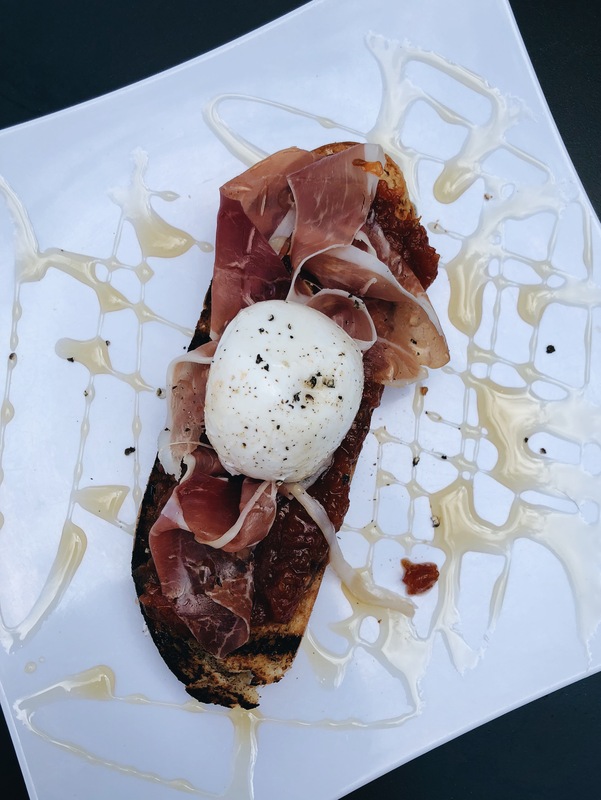 The burrata with tomato jam, honey, and prosciutto on toast was a delicious combination of sweet, salty, creamy, and crunchy, and has inspired many a burrata dish that we’ve made recently! The beers were also fantastic, we loved the peach sour. After our afternoon snack we went for a walk around the outdoor Charlottesville mall and had a drink at Jack Brown’s since I used to go to the Harrisonburg one all the time! 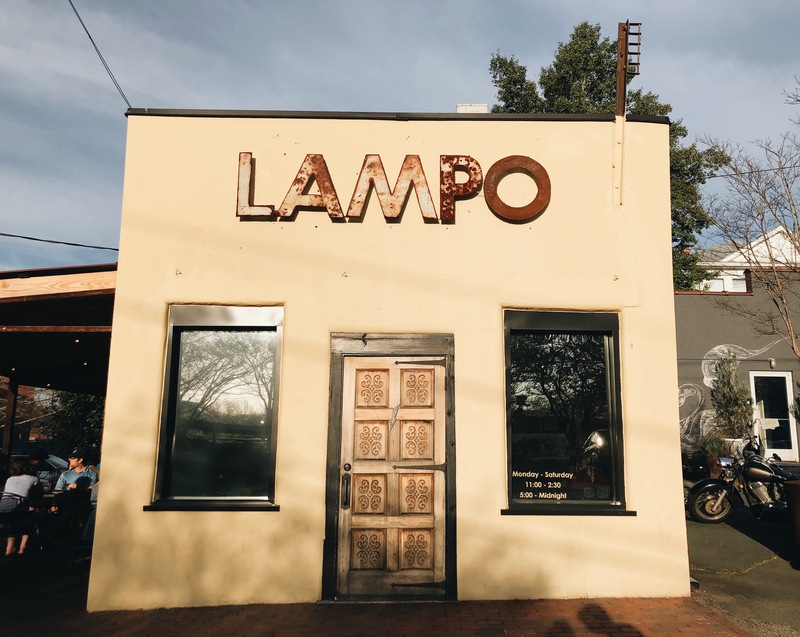 I had heard of a fantastic Italian restaurant called Lampo, and read that they didn’t take reservations so it’s best to get there early. 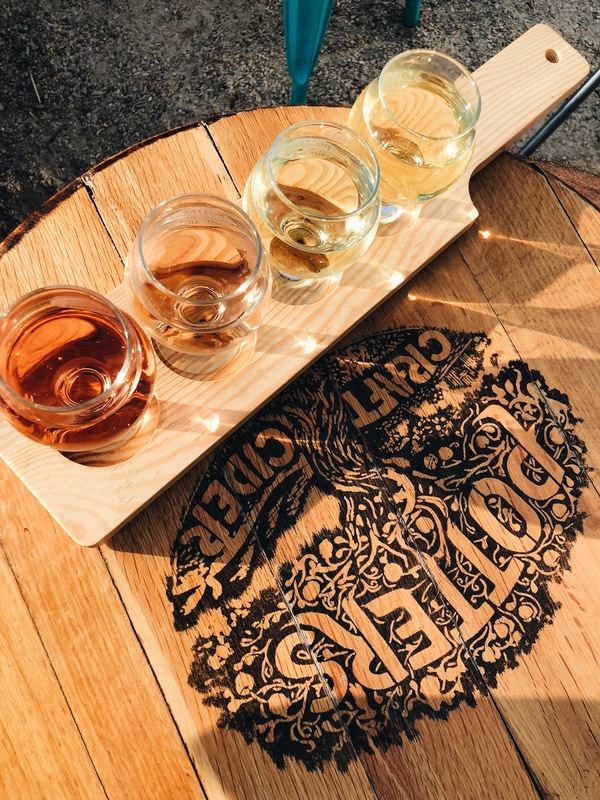 We walked over, put our name on the list, and went to a cider pop up across the street. Before we knew it, our table was ready and I practically sprinted after the host. You guys. I don’t even’t know where to start here. It was really one of the best meals I’ve ever had. 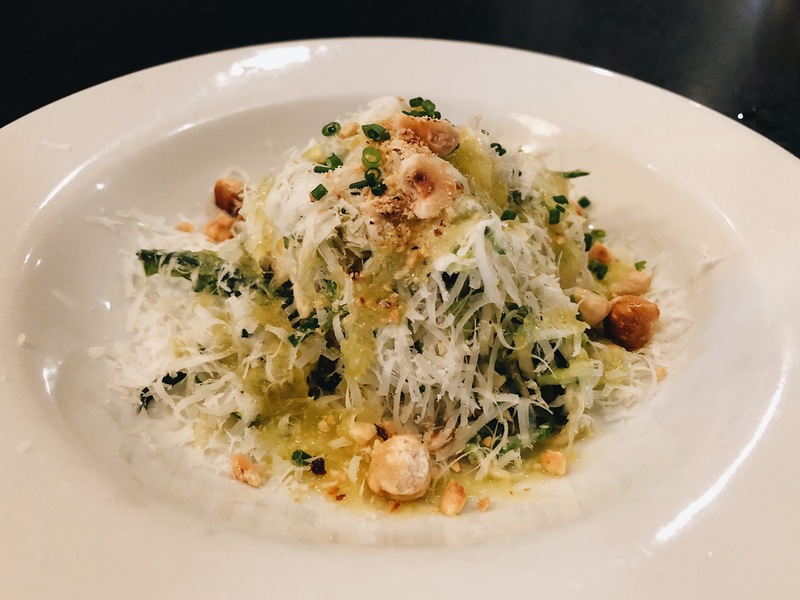 The brussels sprout salad with an equal cheese to vegetable ratio, topped with toasted hazlenuts and a maple vinaigrette was unreal. 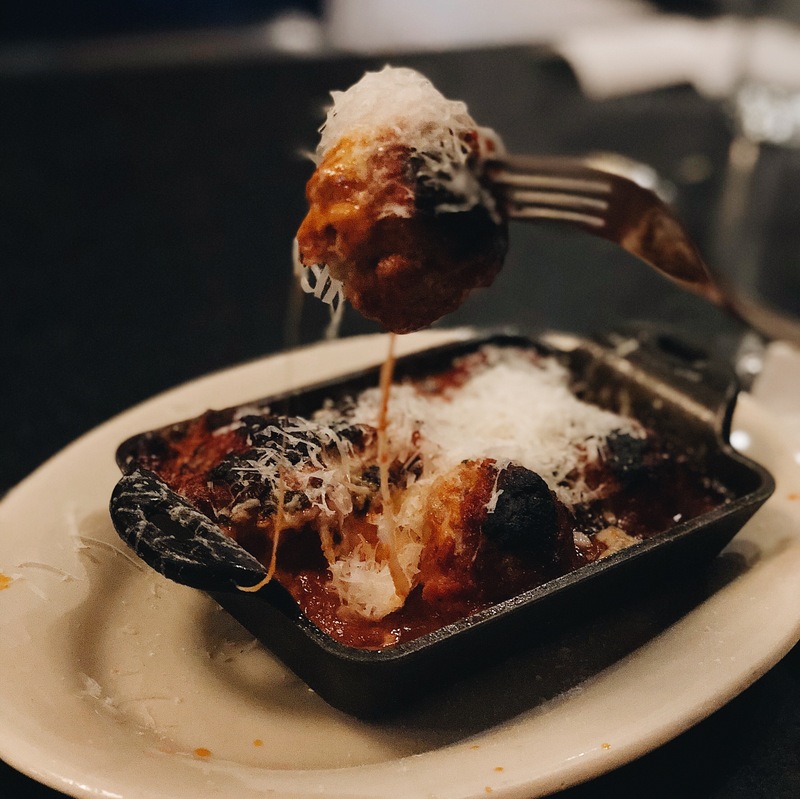 The oven roasted meatballs with a fresh tomato sauce and fior di latte cheese were what Italian Nonnas dream of. But the pizza was the true gem. I’ve been to Roberta’s in Brooklyn which is unforgettable, and I promise this pie was just as good. 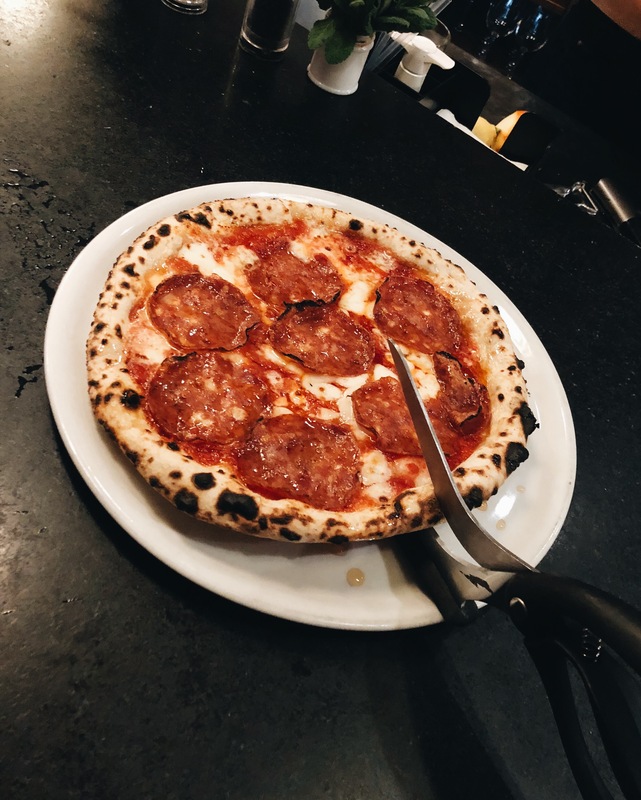 We had the Hellboy, which was the special for the day, and had n’duja, fior di latte mozzarella, San marzano tomato sauce, and was drizzled with spicy scorpion honey. We loved how they served the pizza uncut, and gave you scissors to cut it yourself! 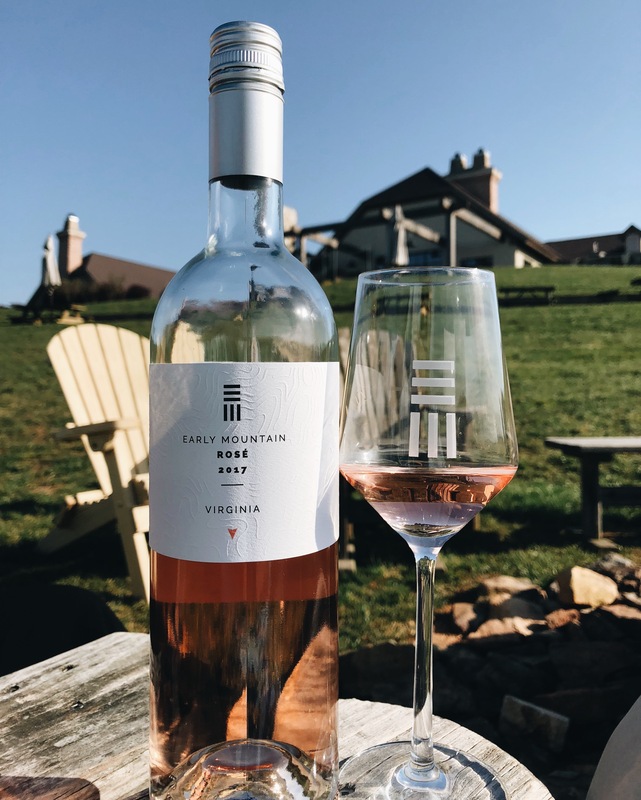 If you’re ever remotely near Charlottesville, definitely give this place a try. After that meal we were exhausted and decided to head back to Stanardsville. As we drove down the gravel road to the barn, we looked up and saw the most unbelievable stars I’ve ever seen. I feel like that place is truly magic! 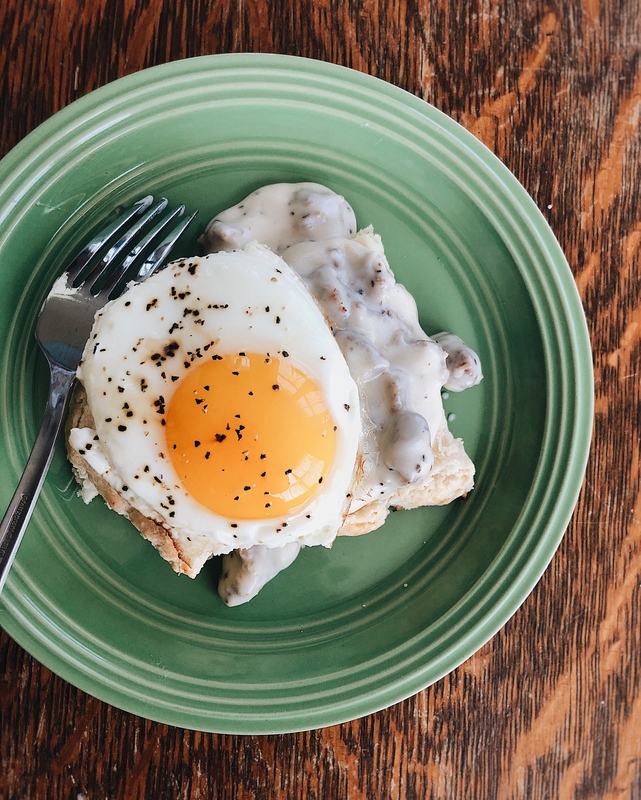 The next morning we slept in and made ourselves a breakfast of homemade biscuits and gravy, which was crazy good. 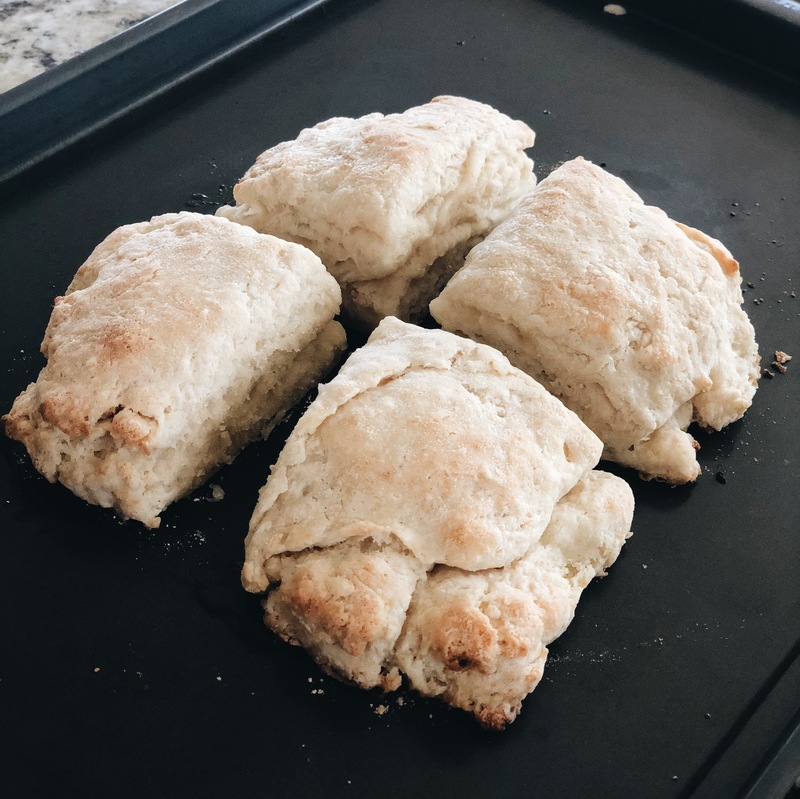 I used this biscuit recipe, and Ree Drummond’s easy sausage gravy. 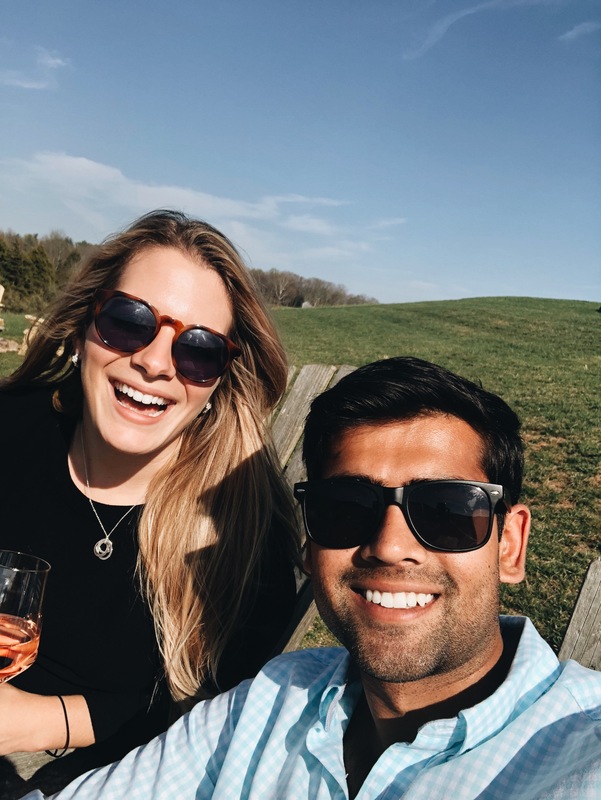 We convinced my parents to meet us at a winery, so I mapped a few and discovered that Morais Vineyards was on the way home and had great reviews. Of course we got distracted on the way to the vineyard by a “Brewery This Way!” sign, so we just had to stop. As much as I love Yelp, there’s something about spontaneous discoveries like Old Trade Brewery. Everyone there was so kind, they had chickens that were almost too friendly, and the beer was awesome as well! 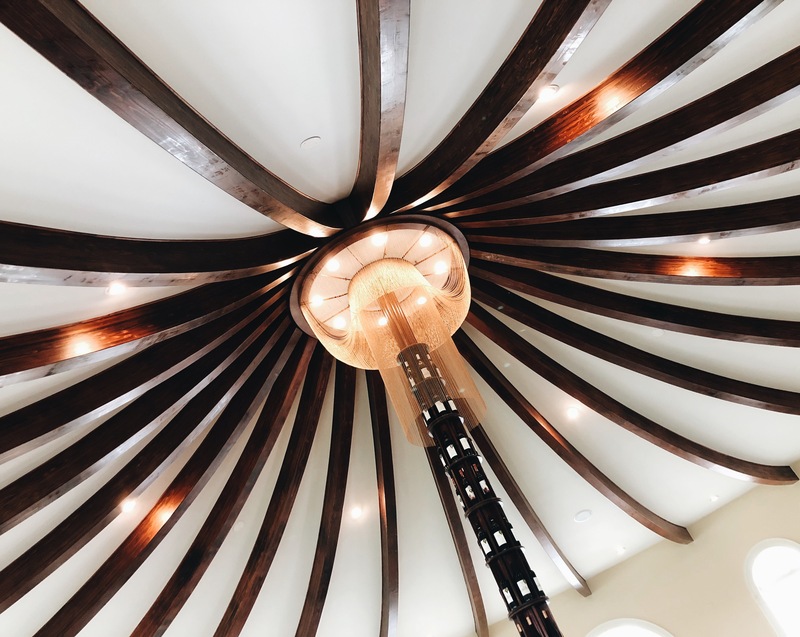 It’s on the way to Morais, so definitely make a stop if you’re headed there. I’m so glad we tried this place! 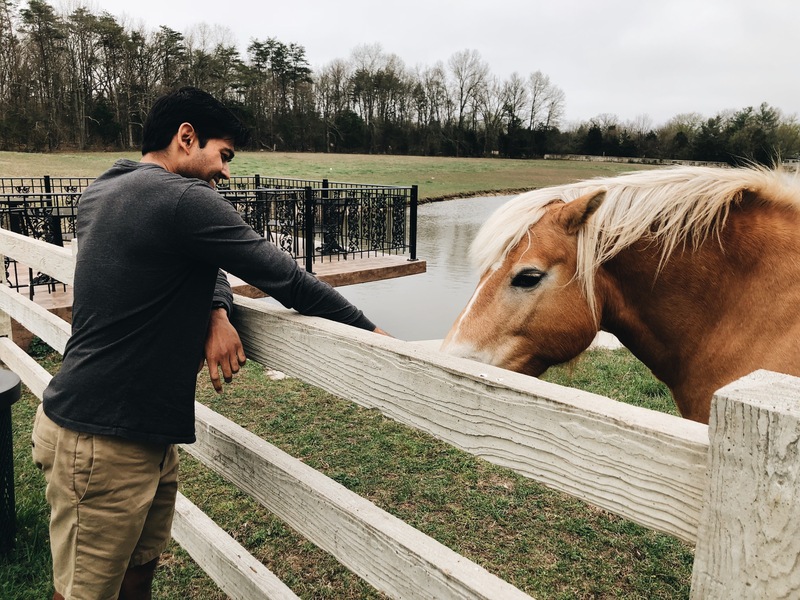 They just opened a gorgeous brand new tasting room, and the wine was even up to my parents’ ridiculously high standards 🙂 Not to mention the grounds were beautiful and Rishil made a few pony friends. 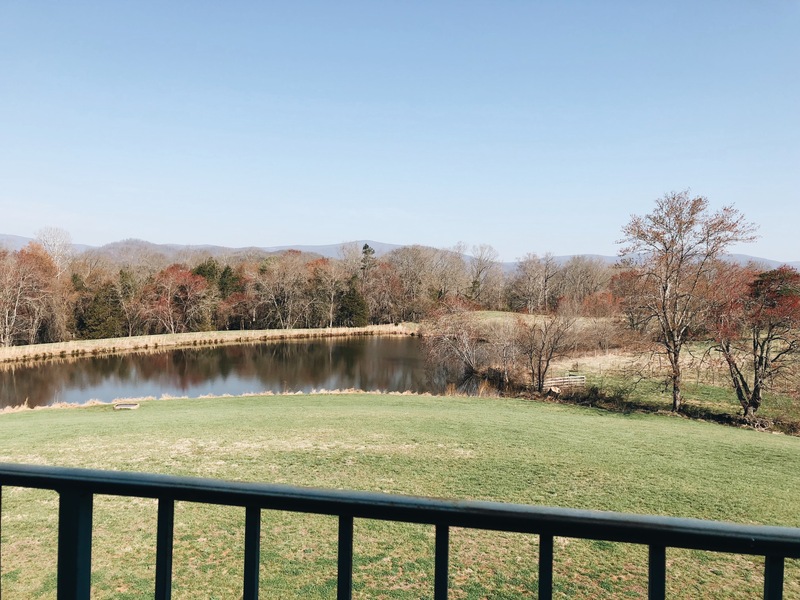 Overall it was the perfect weekend getaway from DC, and I almost didn’t mind traffic on Monday morning! Here’s the itinerary below in case you don’t want to have to scroll through everything again, and please let me know if you try any of these places! Once again, you make everything sound sooooo good!!! This all looks amazing! 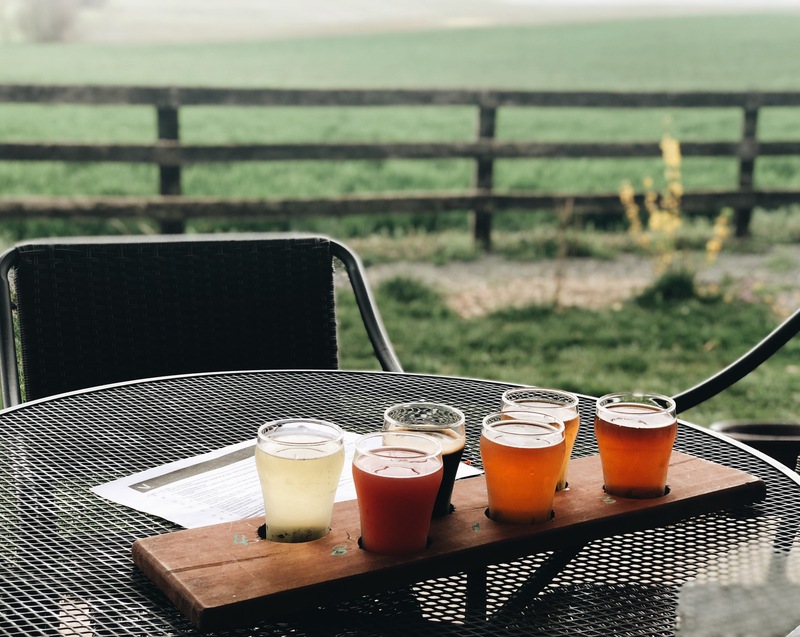 Going to CVille in June, will definitely try some of these places out! Awesome! Have the best time and please let me know how you like them!